‘Dream’ is a companion to Anasazi Song. 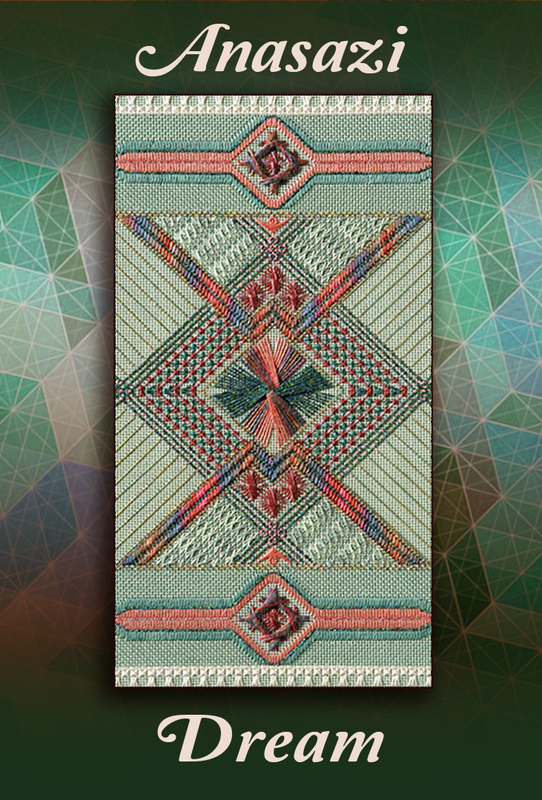 It also includes a variety of composite and pattern stitches, worked in the soft colors and textures of the southwest. Anasazi Dream is worked on sage green 18-mono canvas, and features a multi-thread double fan doubled in the center surrounded by laid filling stitches, and is accented with Walneto borders.